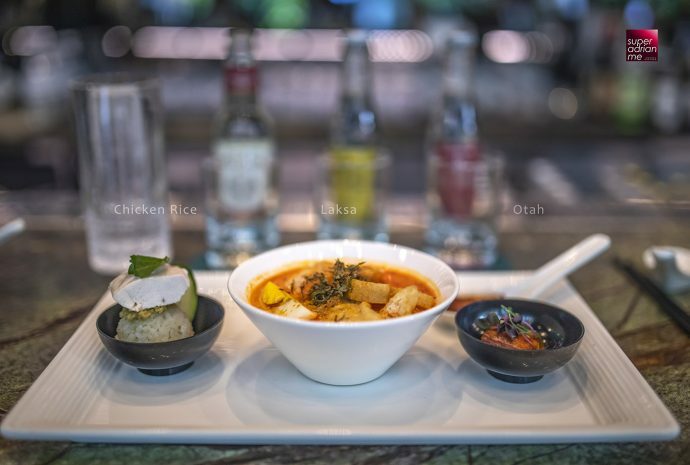 CIN CIN at Oasia Hotel Downtown has been hosting intimate Gin & Food Pairing sessions every Monday to Wednesdays from 21 January 2019. This intimate session is dubbed Gin & Food Pairing – S.E.A. edition. The one-hour afternoon experience is priced at S$99 per person and each session can accommodate up to five people. Pre-registration is required at Peatix or Airbnb Experience (for overseas visitors) for upcoming dates. Fadly Sujebto, CIN CIN’s head bartender has curated a three-course pairing menu. The session starts with a brief history session where participants will learn about gin and the history of tonic. Participants get to taste the Southeast Asian delicacies with a combination of spice, savoury flavours and a tinge of sweetness. 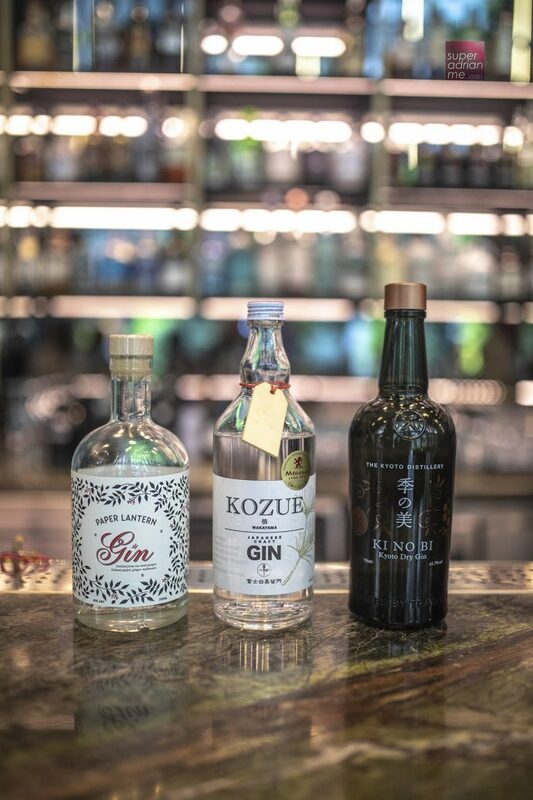 Participants will get to try three different gins from Singapore, Japan and Thailand. On the menu was a serving of Hainanese Chicken Rice, Singapore Laksa with a spoonful of Chilli paste and Peranakan Otak-Otak (Fish Paste). The Hainanese Chicken Rice features chicken, pandan-flavoured rice, garlic mash and cucumber slices. Singapore Laksa is a bowl of dried bean curd, fishcake, prawns, bean sprouts, hard-boiled egg, thick bee hoon noodle with spicy coconut broth and homemade chilli paste. The Peranakan Otak Otak is a cube of fish and spices grilled in coconut tree leaves. 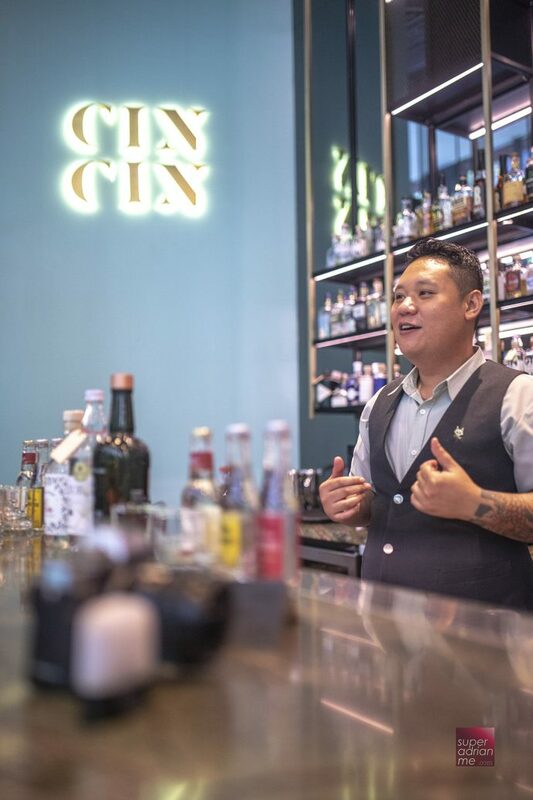 For overseas guests, you also get to learn some Singlish while you enjoy gin and food. Private bookings or larger group requests can be arranged directly with CIN CIN. 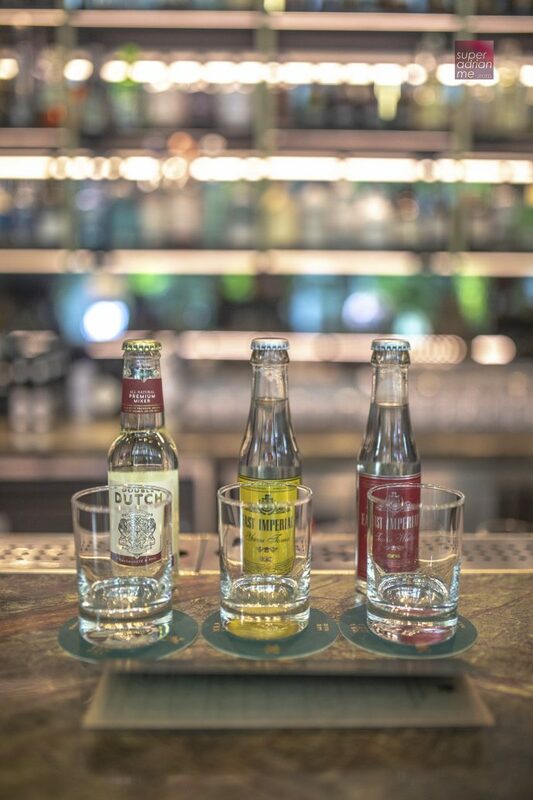 CIN CIN offers close to 100 different types of gin. Stay on after the experience, and enjoy the gin straight up, or make your own Martinis or G&Ts or gin-based cocktails.